Your local guide for living well... on less! Eastern Watersports in Middle River wants to get you in the water, whether that means coaxing you onto a paddle board, helping you earn your Scuba certification, or just outfitting you in a brand new wetsuit. The shops sells all the equipment and accessories aquatic adventurers need to navigate the waves, from top-quality paddle boards and kayaks to sea scooters and underwater cameras. And, the experienced staff leads a variety of tours and lessons for beginners or those hoping to better hone their surf, wake board, paddle board, or water skiing skills. Promotional value expires Oct 31, 2017. Amount paid never expires. Must sign waiver. Reservation required. Limit 1 per person, may buy 1 additional as gift. Valid only for option purchased. Merchant is solely responsible to purchasers for the care and quality of the advertised goods and services. Sign up to receive email updates from Baltimore on the Cheap! Your insider's guide to living well on less! Baltimore on the Cheap is a member of Living on the Cheap, a network of websites published by frugalistas, journalists and consumer advocates. Find practical advice on saving money on groceries, travel and shopping, plus tips from our experts on how to live the good life for less at Living on the Cheap. Find discounts for museums and attractions in the Baltimore area. Find discounts on Baltimore-area entertainment. Don't go to the store without checking these Baltimore shopping bargains. © 2019 Baltimore on the Cheap. Site design by Five J's Design. 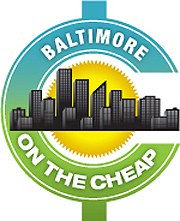 Subscribe to BaltimoreontheCheap.com and never miss a deal. Each day you'll receive one email listing all the deals, discounts and free events published in the last 24 hours at Baltimore on the Cheap.